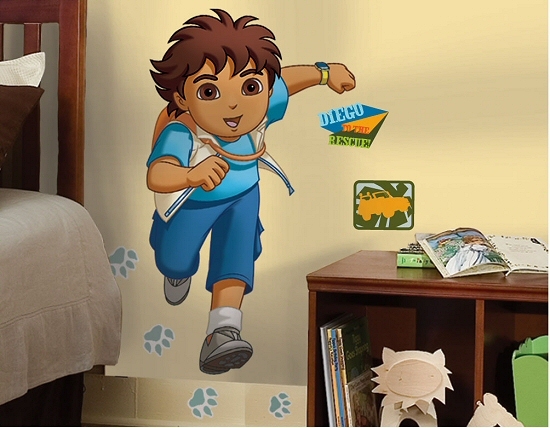 Bring the imagination and adventure of Diego right into your child's room with this fun Go Diego Go giant wall decal. Complete with cool coordinating accents, including a smaller-scale Deigo, this exciting RoomMates peel and stick Go Diego Go mini mural set is perfect for an easy-on-the-budget room makeover in minutes. 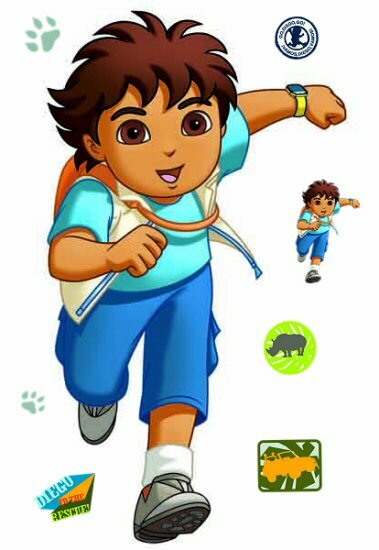 Our Go Diego Go peel and stick giant wall decals (also known as peel and stick murals) are repositionable, removable, re-usable, and washable... the perfect combination for decorating the bedrooms and playrooms of kids. This RoomMates Go Diego Go repositionable giant wall decals set offers decorating ease with no damage or residue to the surface. This Go, Diego, Go peel and stick wall border features Diego, Baby Jaguar, and the Bobo Brothers. Inpire hours of imaginative adventure with these Go, Diego, Go peel and stick wall decals. Inpire hours of imaginative fun and adventure with this Go, Diego, Go peel and stick border. 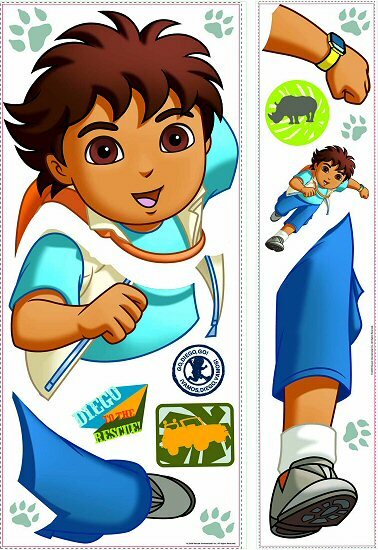 These colorful Go, Diego, Go wall decals feature Diego in various poses along with lots of coordinating accents.